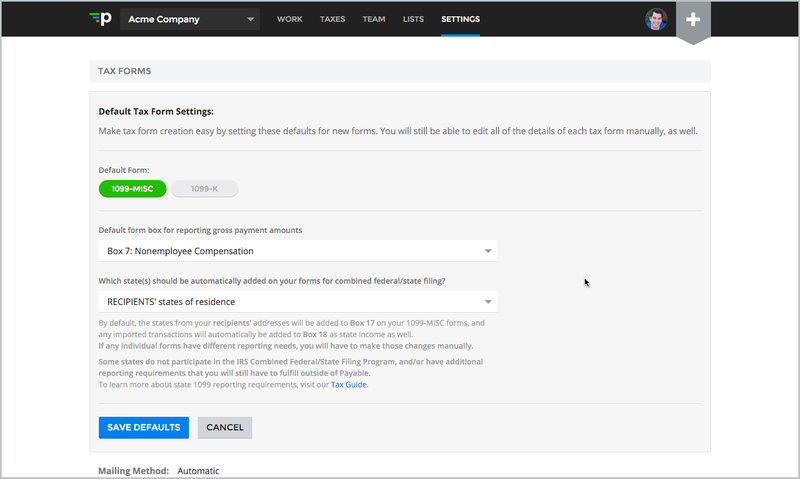 In the company "Settings" page, company administrators will be able to set whether they'd like to aggregate form recipient and payment data for form 1099-MISC or 1099-K. Payable will automatically generate forms based on the box you specify for transaction data. Please contact us if you need to generate both types of forms with your Stripe data.